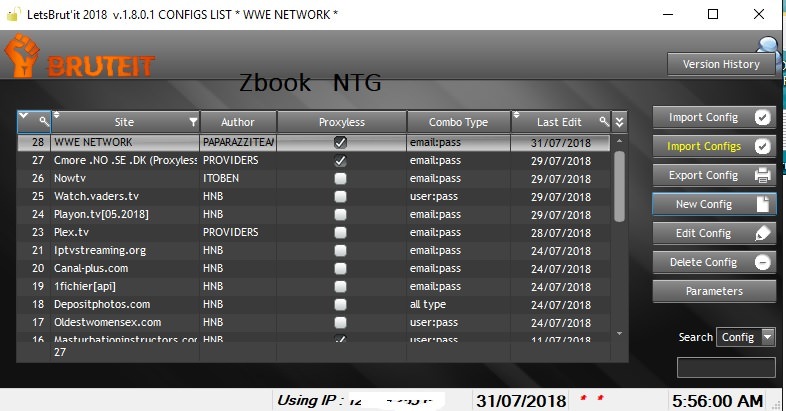 - You can copy the proxies which are in hits, free, To check and History tabs to clipboard. - Major bug with proxy config (bruteforcer freezed) corrected. - Settings -> new function added : Reactivating valid proxy when active proxies equals X.
if next stage url is provided, if yes then this next stage will be computed before capture stage. Great share - thanks very much! admins am happy to be a member here. Thanks bro. Lets get to bruting.